Former “Daddy”, now Crispin Porter + Bogusky Europe, awarded Syndicate the job of scripting, producing, filming and post producing a spot for Autodesk’s AEC software (Architectural Engineering and Construction). The challenge was to deliver a spot with both technical edge and creative appeal for this particular end user. The limited budget along with the complexity of the camera moves demanded that the shots match the animatic perfectly. Everything was pre programmed in the Syndicate proprietary Milo 3DS max plugin. 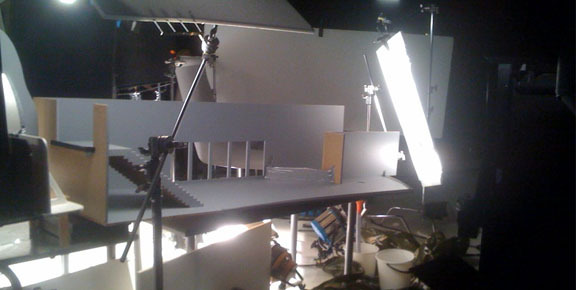 The animatic also served as the blueprint for the models that we created for the spot. Our creative decisions were made long before we were in the studio for the actual shoot. Most everything got wet! Including us! Plus it took time between takes to allow everything to dry. A hot air gun cut the shooting time in half. A few buckets helped as well….. 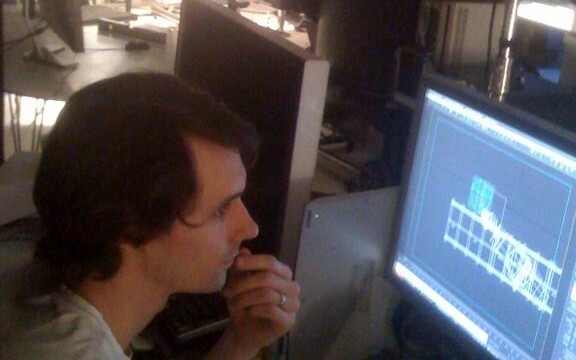 The staircase was built in MDF according to the schematics that we designed directly from the animatic. 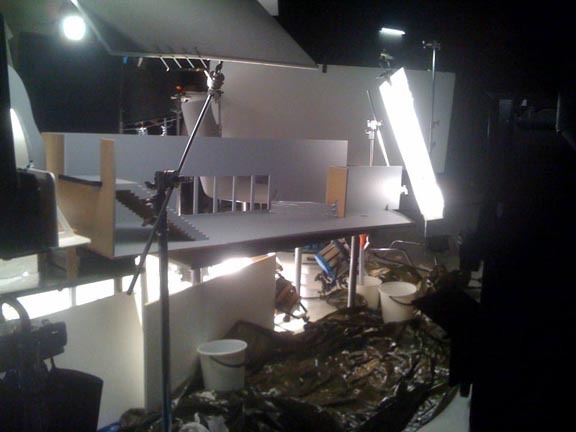 A slight tilt of the set ensured that the water drained properly as well. The Syndicate team looks forward to perfecting the art of filming miniature sets. Using 3D models along with organic elements, like water, is an approach that has unlimited creative possibilities.